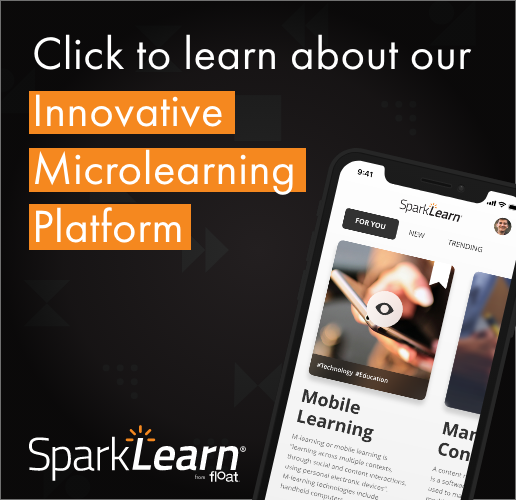 This week, Float’s Managing Partner of New Product Development, Chad Udell, was featured on eLearningGuild’s Spotlight. From their site’s description: In Chad’s session, you’ll gain an understanding of what was previously thought of as impossible performance support– which now can be achieved. In addition, you will learn about marker-based vs. markerless AR, advanced computer vision, and how machine learning and AI can be integrated into AR to create better tools for your workers. This is a session you won’t want to miss! And if you are an eLearning Guild member, you won’t have an excuse, because you can watch the archived version and download the slide presentation, too! Learn about lesser-known AR topics, such as marker-based vs. markerless AR. Understand how AR can be strengthened by including computer vision and machine learning techniques. Check out this great session here.